Want the coolest baby shower or kids’ gift? Get a custom-made Narwhal by the deceivingly named OstrichFarm. 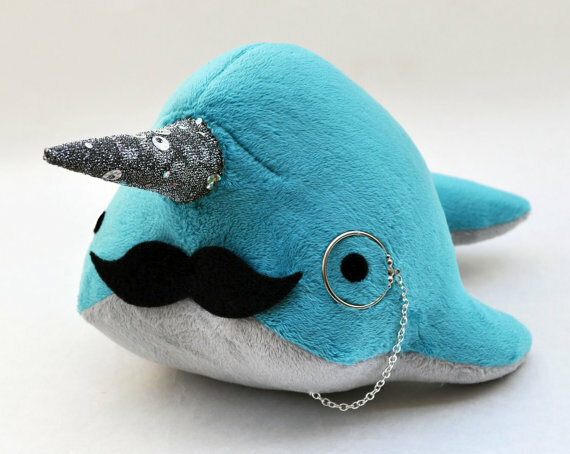 Whether you want your Narwhal with a bow, a monocle, a top hat, or just plain and adorable, they’ve got you covered. Prices range from $22-75 depending on size and accessories. Plush Narwhals, available at Etsy.com.